Hey pals, do you remember reading that I performed yet another sample checkout from the The Sample Store. This time, my main aim is the retail size box of ITOH black slimming tea, that consist of one month’s supply and costing $49.90. What’s more, its only exclusive to the first 50 checkout only. Sounds excited, isn’t it? I am so happy and excited that I can’t help beaming with joy when the parcel finally arrived in my mailbox. Was kinda worried that I’m not fast enough to be within the first 50 pax, but HOORAY!!!! Hooray! I ‘ve managed to get a box for myself. Been wanting to try this out for long but hesitate due to its retail price. It’s like a dream come true when The Sample Store updated on its Facebook page that it had limited quantities available for redemption. The Itoh black slimming tea is no ordinary slimming tea. Based on is based on king Pu’er tea and oolong tea, it is combined with 12 different kinds of best selected natural materials to keep you healthy and dynamic. Sound rather amazing, isn’t it? The next sample that I’ve checkout is the Rachel K Radiance Illuminator Lotus Stem Cell Hydrogel Mask! Till dated, this is the second hydrogel mask that I get to sample, with my first hydrogel mask from TheNatureLab. Hope this mask would not fail my high expectations for it based on what they had advertised themselves to be. 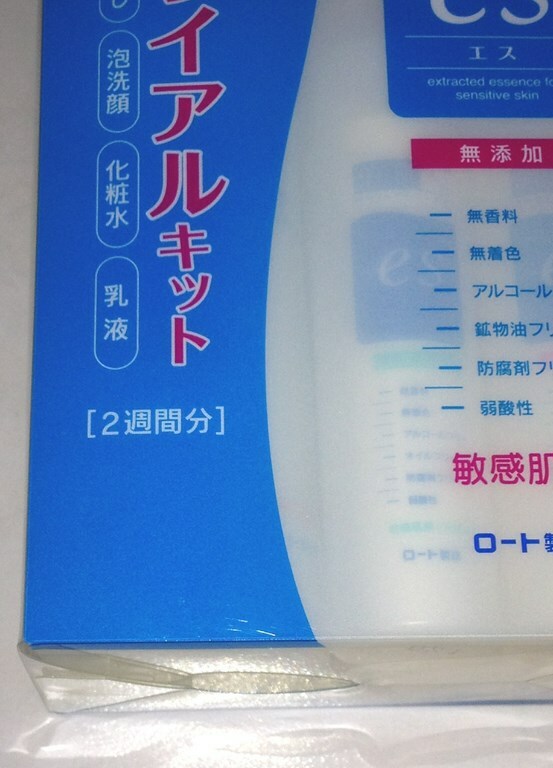 The third sample that i check out is the Hada Labo arbutin whitening lotion. 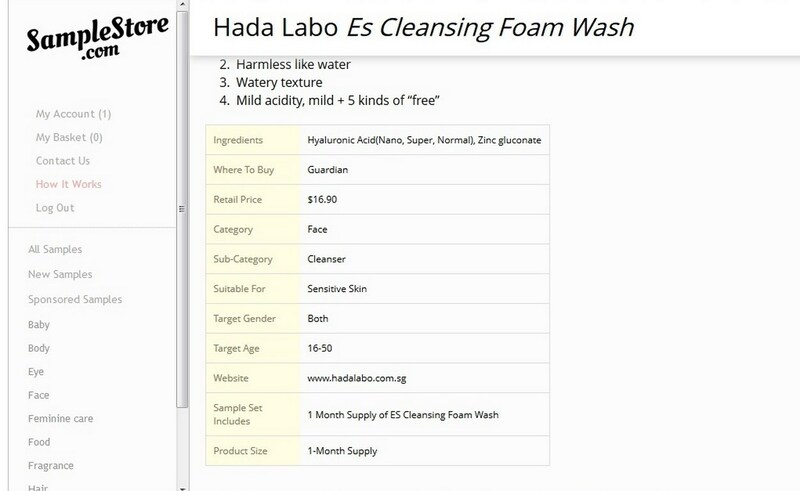 Had been diligently using the Hada Labo SHA hydrating lotion for the past two month. It never fails in keeping my skin supple during my long hours inside an air-cn environment. 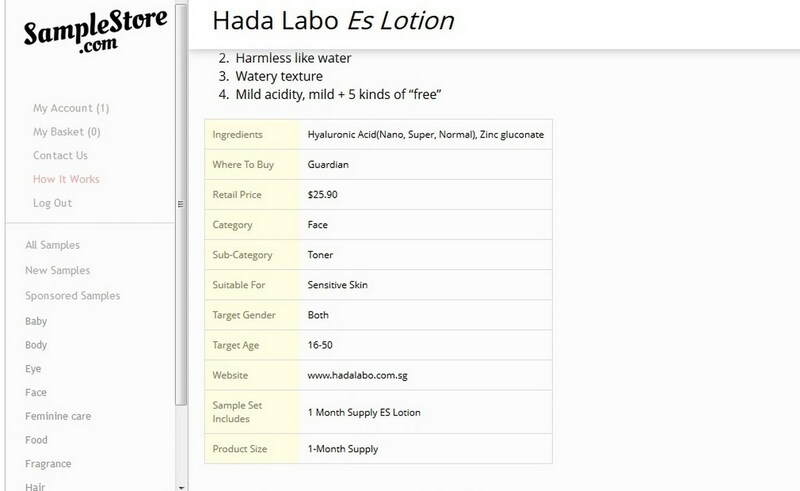 An improvised version of the previous, the Hada labo arbutin whitening lotion is said to contain two new added ingredients – Arbutin and Vitamin C along with Hyaluronic Acid. Extracted from natural bearberry plant, arbutin helps fight dark spots and als enhances skin fairness. Vitamin C also helps to enhance skin fairness, plus repairing dry and dull skin caused by exposure to UV rays.its like to two components worked alongside each other. The last sample I checkout is the JustUme Fiber Plum. Made from selected Japanese Umeboshi plum, combined with two strains of probiotic (Lactobacillus Acidophilus and Bifidobacteria Longum) and a unique blend of plant, it is said to be a fruitilicious and natural way to maintain a healthy digestive system. So I happily got a set to be given to my sister to try. 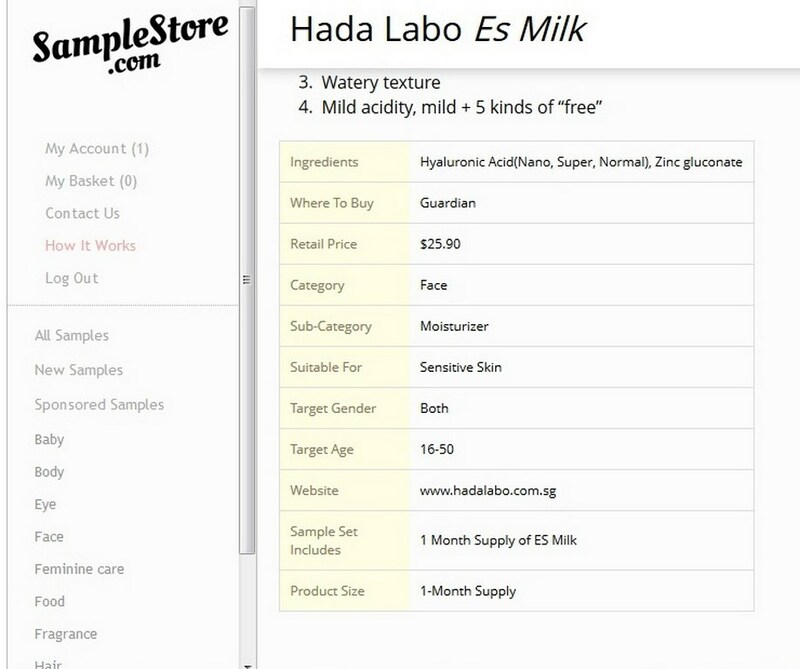 Have you performed any sample checkout from The Sample Store lately? Care to share what are the goodies you have selected for yourself? Never expect myself to be performing another checkout so soon from The Sample Store. 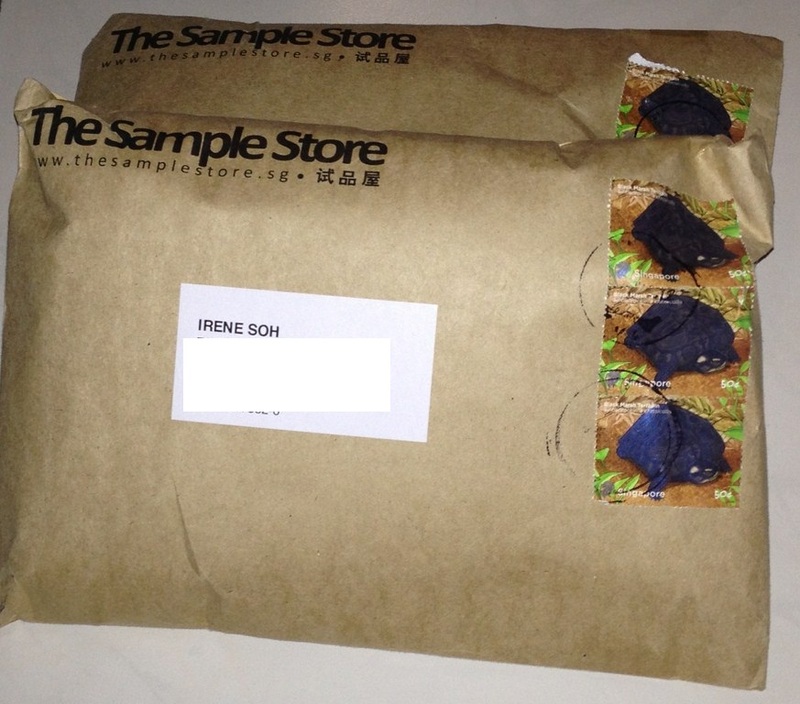 I’m still kinda pissed off with the high postage fees that I had to pay for just 4 samples. Who else but for the benefits of my younger sister. The Sample Store is having a promotion whereby they are giving away Bioderma gift pack to first 100 people who checkout any 4 samples from The Sample Store from 21st November onwards. 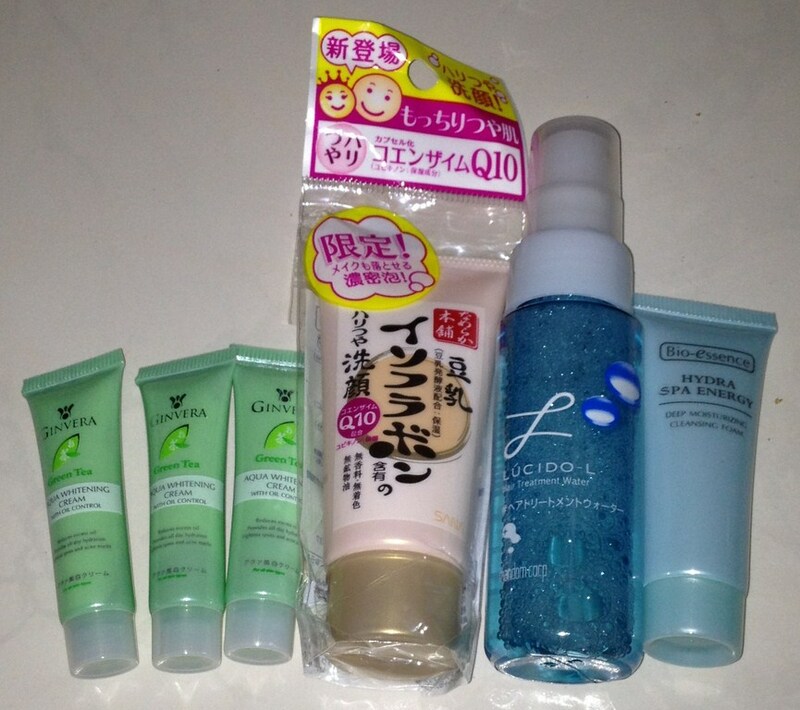 Will be giving this to my younger sister who is a big fan of Bioderma. As for me, I’m more than content with the 4 samples that I had. While writing this, I performed yet another checkout from The Sample Store. This time, my main aim is the ITOH black slimming tea that they are exclusive only to the first 50 checkout. 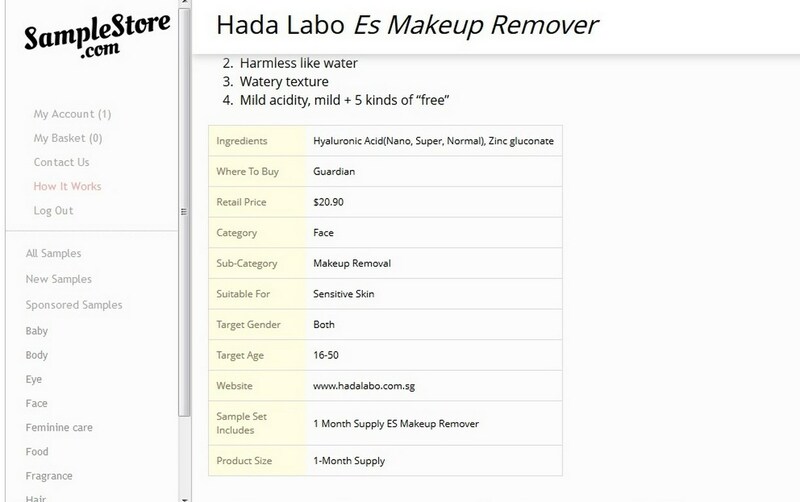 The Sample Store mentioned it to be a one month supply retail size product and priced at S$49.90. Hope I’m one of the lucky ones. Its been a very long time since I last redeem any samples from The Sample Store. Was surprised to find out that the postage fees had increased to a flat $3.99. It used to be so much less when I joined them years ago. This is so disappointing. They could have put up a notice on their facebook wall or maybe even update their members by email about the increment. But sadly, nothing of this sort was done. Must be more selective in the items that I checked out from now. 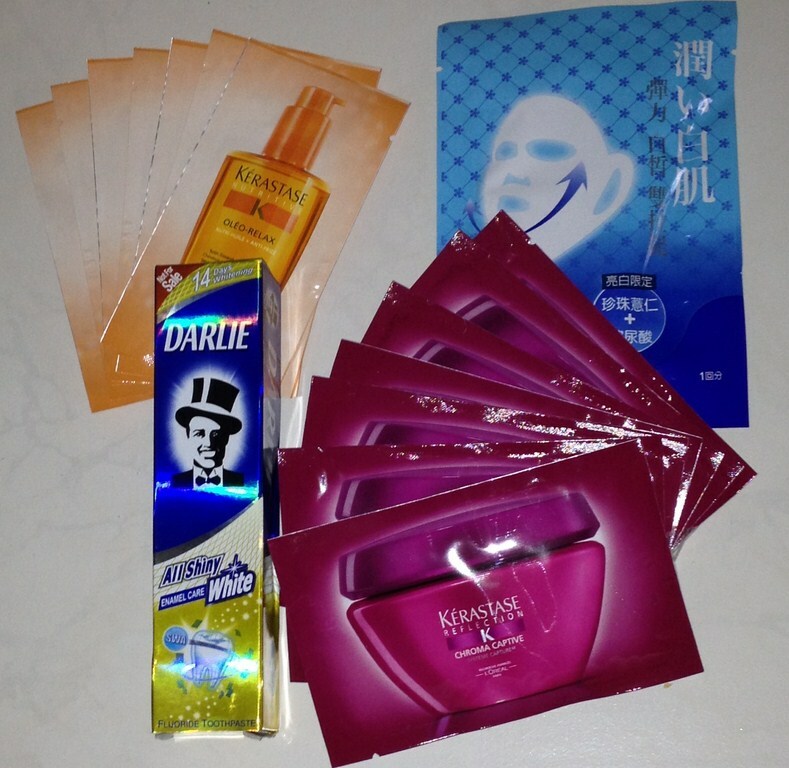 Another lot of free samples that I had check out for myself from The Sample Store. All I had to pay for is the postage fees. Fascinating, isn’t it? There are still so many items that I would loved to check out. But sadly, The Sample Store only allow a maximum of 4 samples per checkout. If you love to check out samples like I do, click HERE to sign up under my referral link. Speaking off, I haven’t been visiting another free sample website for a very long time already. Guess I better hurry before all the good things are gone.